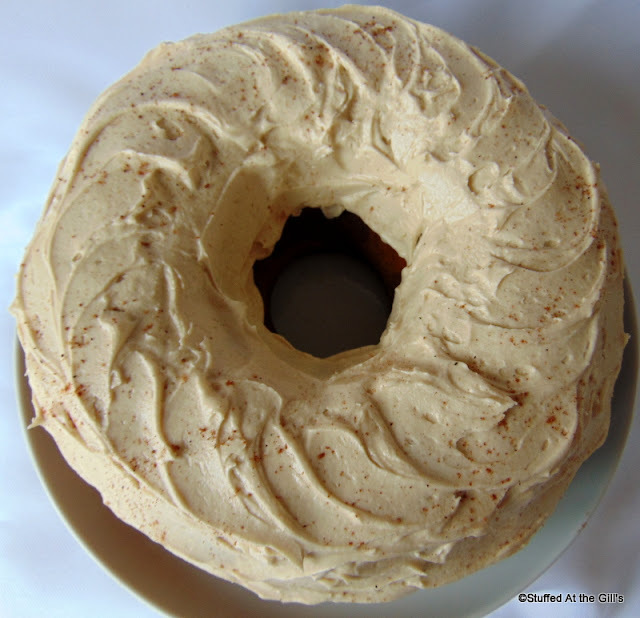 Marble Spice Cake with cinnamon, cloves and nutmeg is a lovely, old-fashioned cake baked in a bundt or tube pan. A nice change from chocolate. 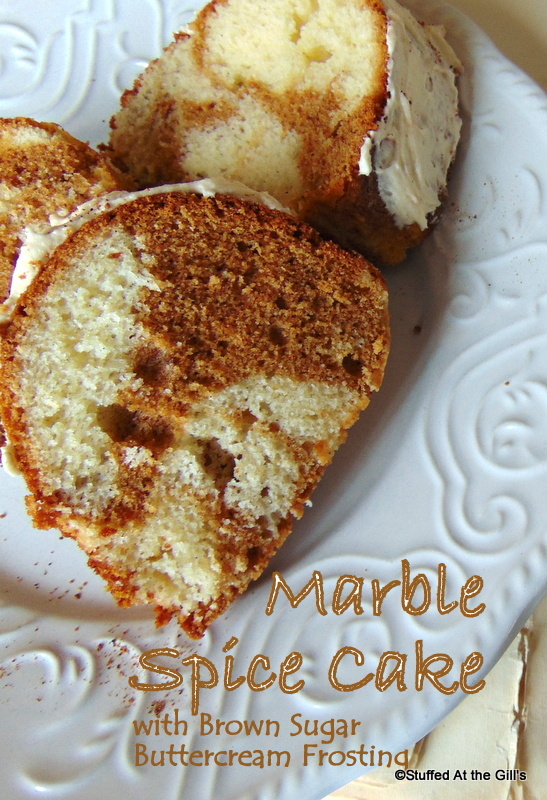 One of the first cakes I made by myself was a Marble Spice Cake. Normally, Mom would have been in the kitchen supervising my culinary feats but not this Sunday morning. Heather and I had been in bed reading the weekend paper. Well, not the news, of course. I was more interested in the comics and even more interested in the food column written by Margo Oliver in the Weekend Magazine, an insert in the paper. Many of the recipes had strange ingredients that we never had in our house but nevertheless I immersed myself in anything she wrote. 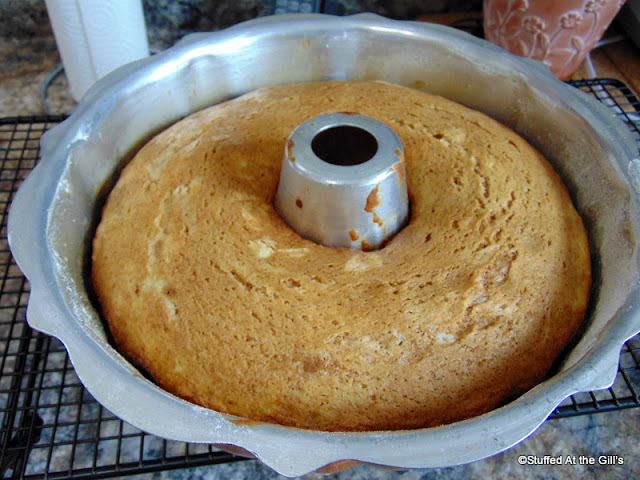 The cake recipes were more familiar with flour, butter, sugar and eggs that we always had in our kitchen. I must have been about 10 years old at the time when I decided I'd try a couple of her recipes. Heather picked one (lost in my memory) and I chose the Marble Cake. It must have been quite early because both Mom and Dad were still in bed having a well deserved Sunday morning sleep-in. By the time they came to the kitchen I was well on my way to opening up a home run cake bakery! Ha, ha. I remember both cakes turned out lovely. Sure wish I could remember what I baked for Heather. She'll let me know if she remembers. But the Marble Cake was my triumph. Funny, I didn't copy that recipe in my recipe scrapbook. It was lost forever and still is. Edit: Just as I thought, Heather remembers the cake I made for her! It was a cherry cake and still her favourite. 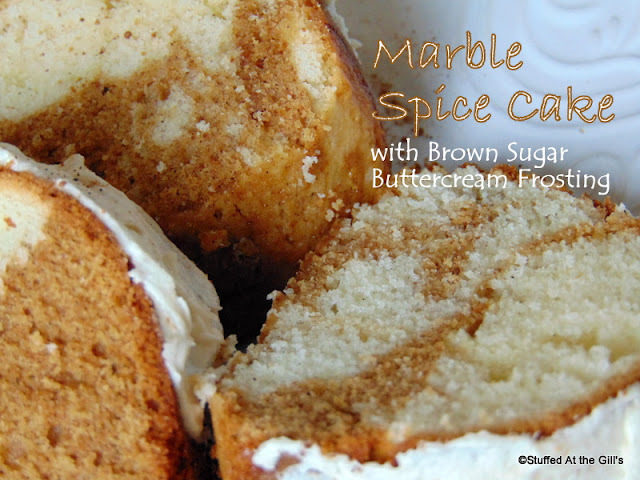 I've searched the internet for Margo Oliver's Marble Spice Cake to no avail. I've searched my own cookbook and recipe collection for a Marble Spice Cake and only found one which was quite involved. Too much work for me. But just a few months ago I was again perusing one of Mom's old cookbooks. 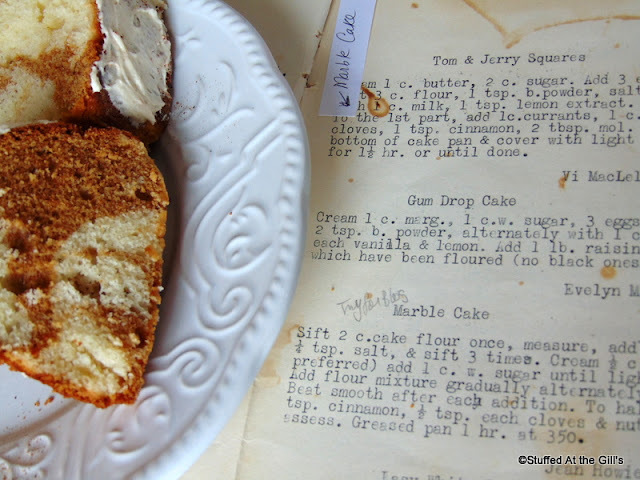 It was the one Uncle Walter gave her from the United Church in Sidney River, Nova Scotia and there it was, a recipe for Marble Cake submitted by Jean Howie. Not your ordinary chocolate marble cake (for which a myriad of recipes abound), but a spice marble cake like the one I had made so many years ago. No separating the yolks and whites. Just one cake batter divided. Oh, joy. As was, and still is, common in church and school fundraising cookbooks, instructions were limited. Fortunately, this recipe at least had ingredient measurements and the oven temperature given. 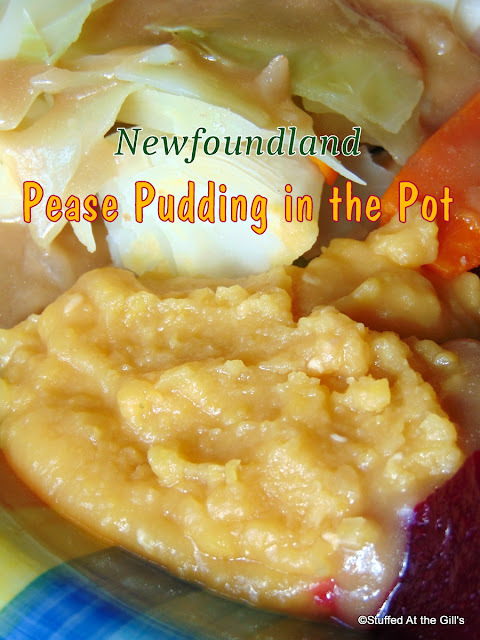 And interestingly, the era of the recipe would have been about the same--late 1950s-early '60s. 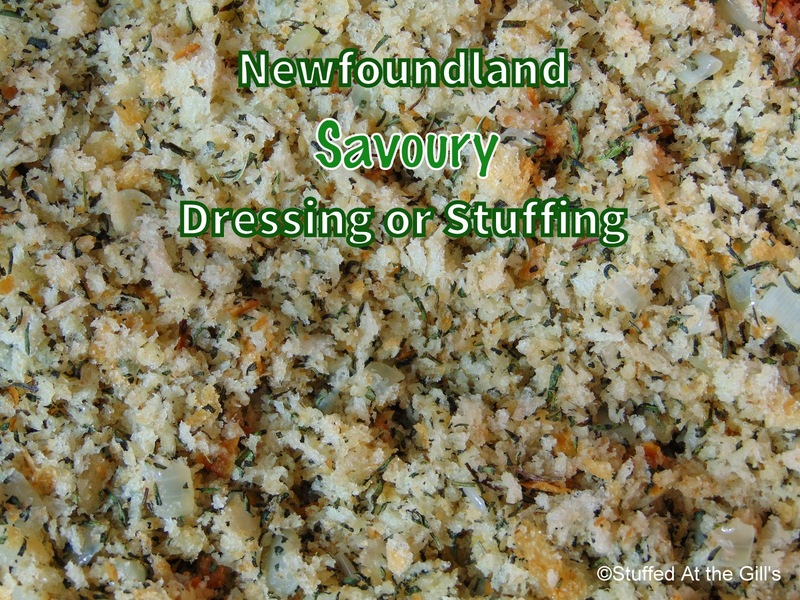 Maybe Jean Howie copied the recipe from the Weekend Magazine and it's the same one I made! Who knows? I don't. Ha, ha. The only changes I made to the recipe are the addition of vanilla extract and I increased the recipe by one-third to make a larger cake. 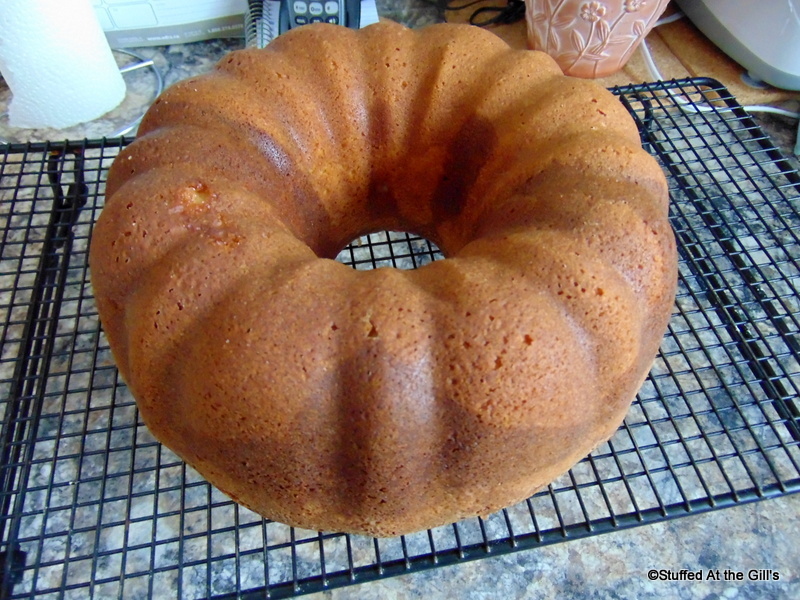 As there was no pan size I opted for a bundt pan but I'm sure a 9x13-inch pan would work as well. 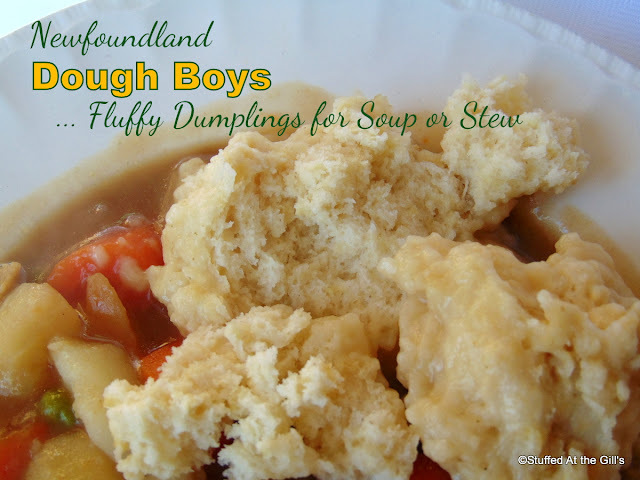 Printable recipe at bottom of page. *To measure the cake flour, sift about 3 cups and then measure exactly 3 cups of flour. Proceed with recipe. 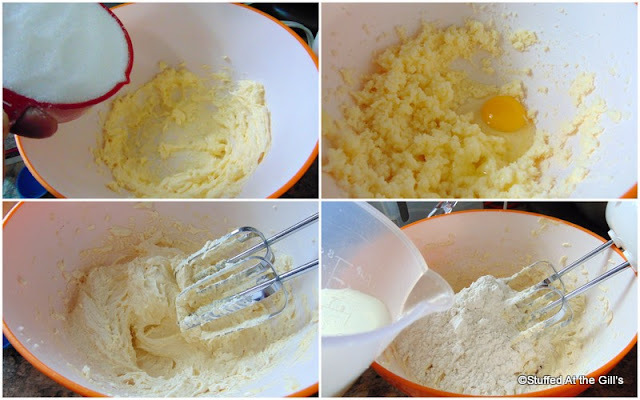 If you do not have cake flour measure 3 cups all-purpose flour and remove 6 tablespoons. 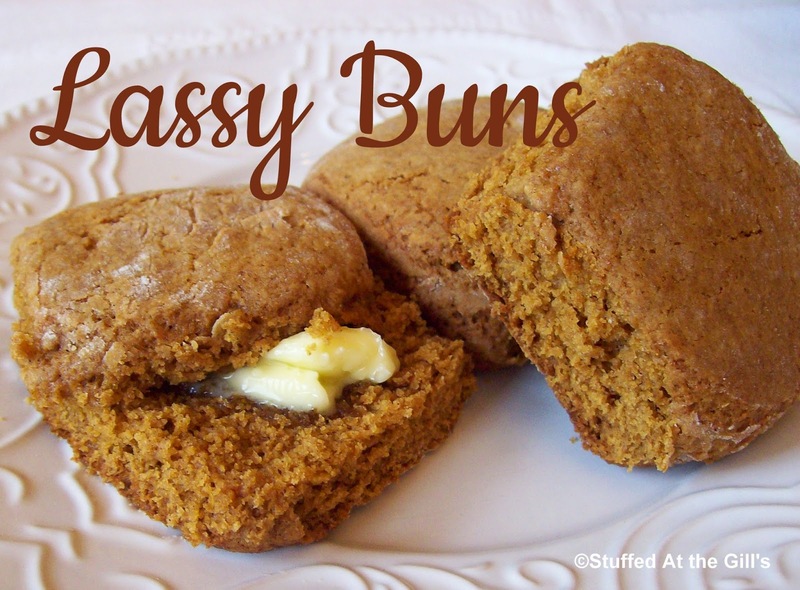 Replace with 6 tablespoons cornstarch, sift and re-measure. Preheat oven to 350 degrees. Generously grease and flour a 10-cup bundt or tube pan. 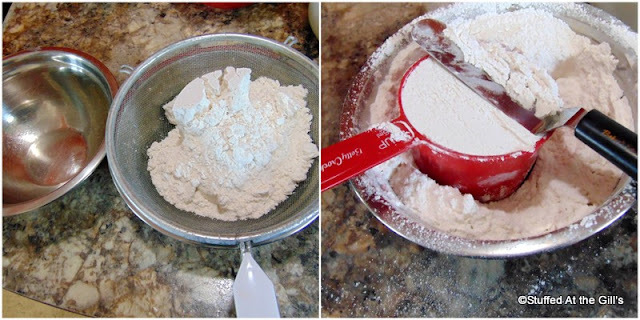 Sift or mix the flour, baking powder and salt together. Lay aside. In a large bowl, using a hand or stand mixer, cream the butter and sugar together until fluffy. Beat in the eggs, one at a time. Beat in vanilla. Add the flour mixture, in three additions, alternately with the milk beating smooth after each addition. 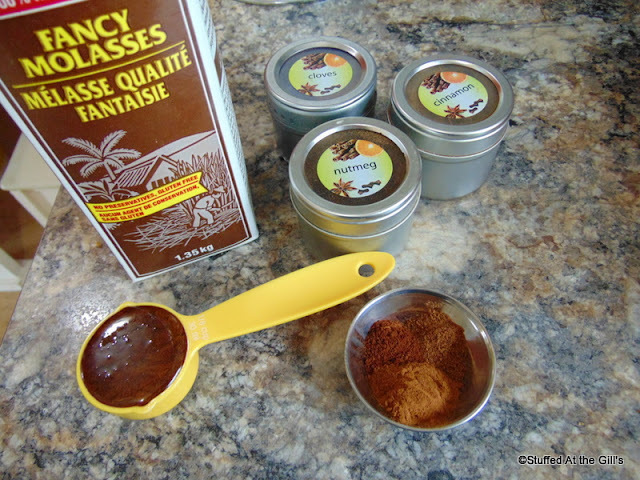 Place half the batter in medium sized bowl and add the cinnamon, cloves nutmeg and molasses. This is your spice batter. Spoon the vanilla and spice batter into the prepared pan, alternating the batters. Swirl with the tip of a knife until a marbled effect is achieved. Bake in preheated oven 45 minutes or until tester or toothpick comes out clean. Remove from oven and let rest in pan 10 minutes before turning out on cooling rack. Let cool completely before frosting or storing. 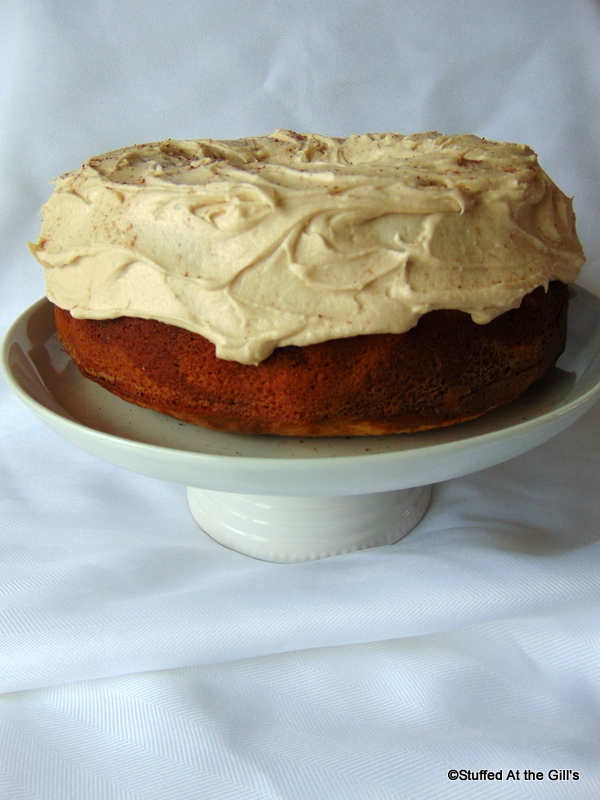 Frost with Brown Sugar Buttercream Frosting or your favourite vanilla or cream cheese frosting. 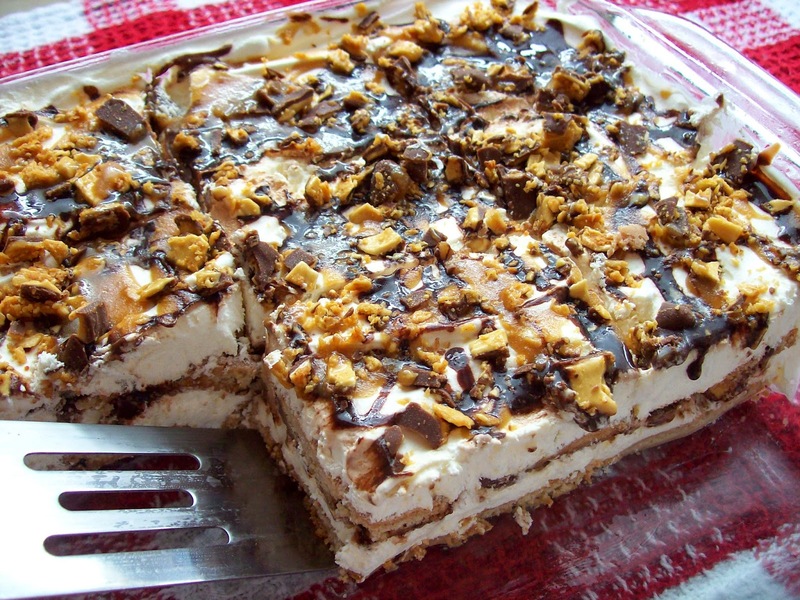 Makes 1 cake, about 12-16 servings. Melt the brown sugar in the first 2 tablespoons milk. You may microwave for a few seconds to make sure the mixture is smooth. Beat the butter until fluffy. Add the icing sugar gradually until the mixture become very thick. Beat in the vanilla and melted brown sugar and continue beating. Beat in the remainder of the sugar and only add enough milk to reach a spreadable consistency. For a fluffier frosting, beat another 2 minutes on medium high speed. When a recipe calls for sifted cake flour, sift first and then measure. Add the salt and baking powder to the measured flour. Cream the butter and sugar together. Add eggs one at a time and beat well. Don't forget the vanilla. Add the flour alternately with the milk. This means flour, milk, flour, milk and finish with flour. Beat well after each addition of flour and milk. You will now have your vanilla batter ready to divide. Next you will divide the vanilla batter and add molasses, cinnamon, cloves and nutmeg to make the spice batter. Have a medium sized bowl ready to divide the vanilla batter. 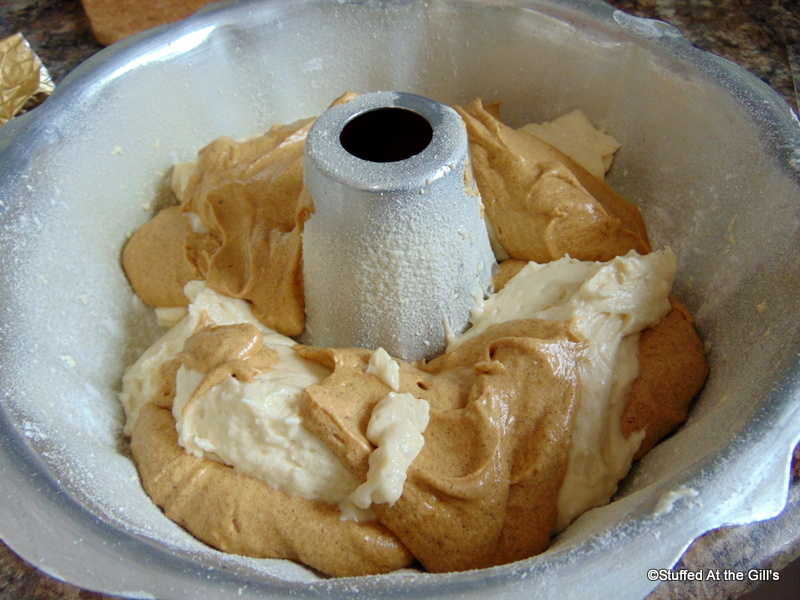 Add molasses, cinnamon, cloves and nutmeg to half the batter to make the spice batter. You are now ready to marble the batter. Make sure you generously grease and flour the bundt or tube pan before spooning in the batter. Alternate the vanilla and spice batter as you add it to the baking pan. 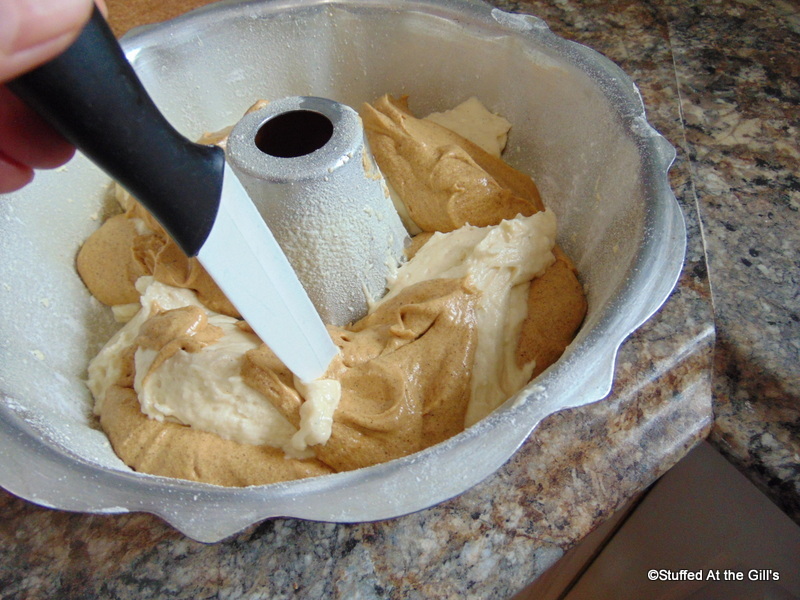 When all the batter is in the pan, take the tip of a knife and swirl the batter around to achieve a marbled effect. Bake in a preheated 350 degree oven for 45 minutes or until a tester or toothpick comes out clean. Let rest in pan for 10 minutes. After resting 10 minutes, turn cake out on cooling rack. Let cool completely before frosting or storing. Frost the cooled cake with the Brown Sugar Buttercream Frosting but any favourite vanilla or cream cheese frosting will do nicely also. I lightly sprinkled the frosting with nutmeg and cinnamon. I didn't frost my cake all the way to the bottom but there was plenty of frosting to spread all over the cake. I just thought it looked nice like this. Thank you, Jean Howie, for this lovely old-fashioned marble cake. Marble Spice Cake makes a nice change from chocolate!